Just last weekend I was wondering what I was going to do with some old photos I have. I would like to keep them together by year or event so decided that I would create some Memory Albums to keep the photos organized and available for future generations! I like that the Album comes with the hardware inside the packaging. 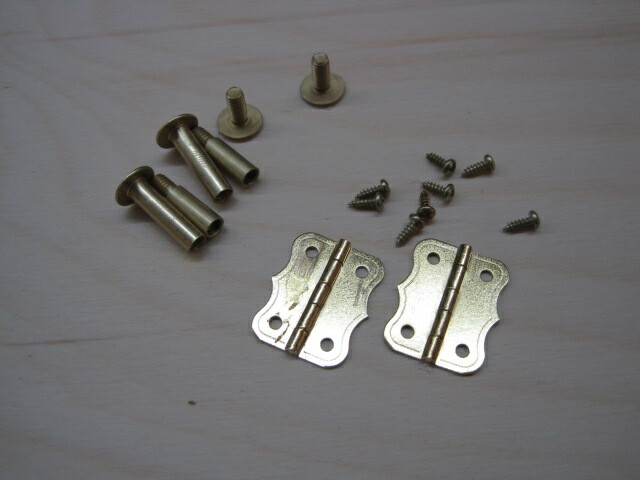 You get the hinges, screws, posts and even a couple of extensions for the posts to use as your Album grows in size. 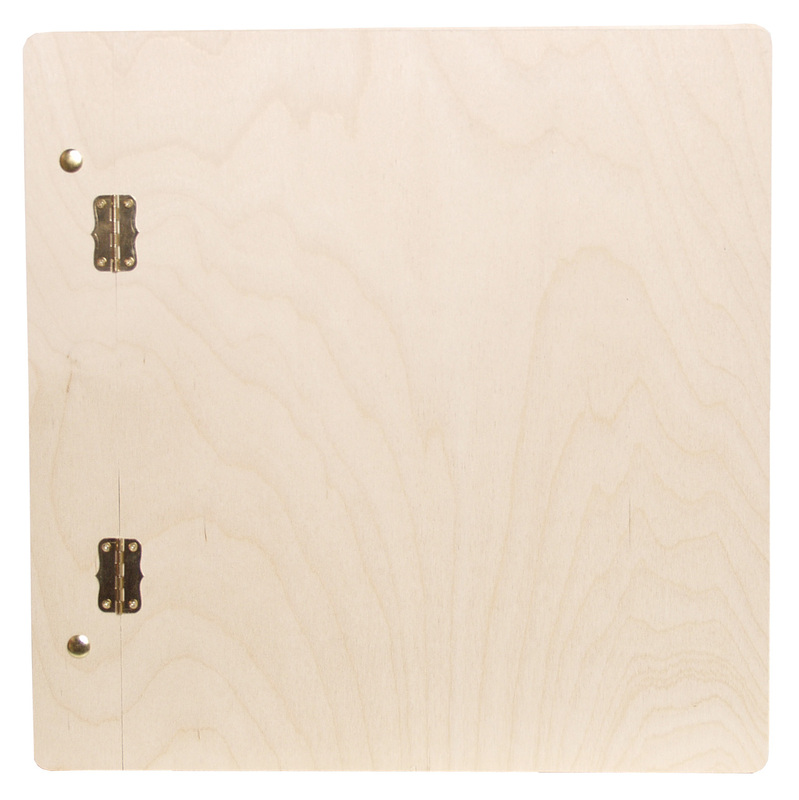 It’s easier to paint, stain or add paper before the hinges are attached. I was thinking about ways to decorate the Album covers and was reminded of the various pieces I have created over the past several years with different themes. Here’s an idea of a very simple cover that is just stained. 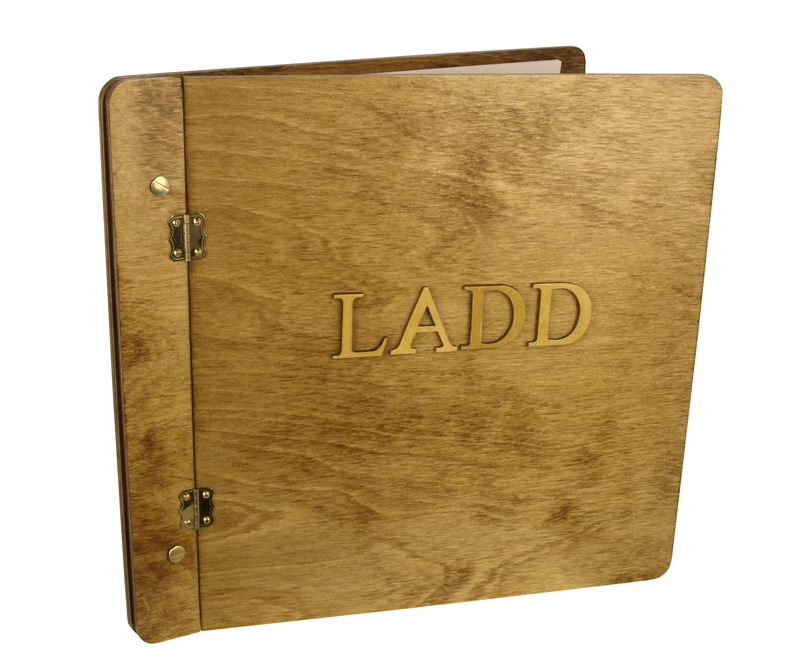 I added 1 ½” wood letters to spell a family name and adhered the letters to the cover. This cover is stained, but I used a cute BasicGrey paper and I “fussy cut” the dogs. The spine of the album cover is rubber stamped with a dog paw image. 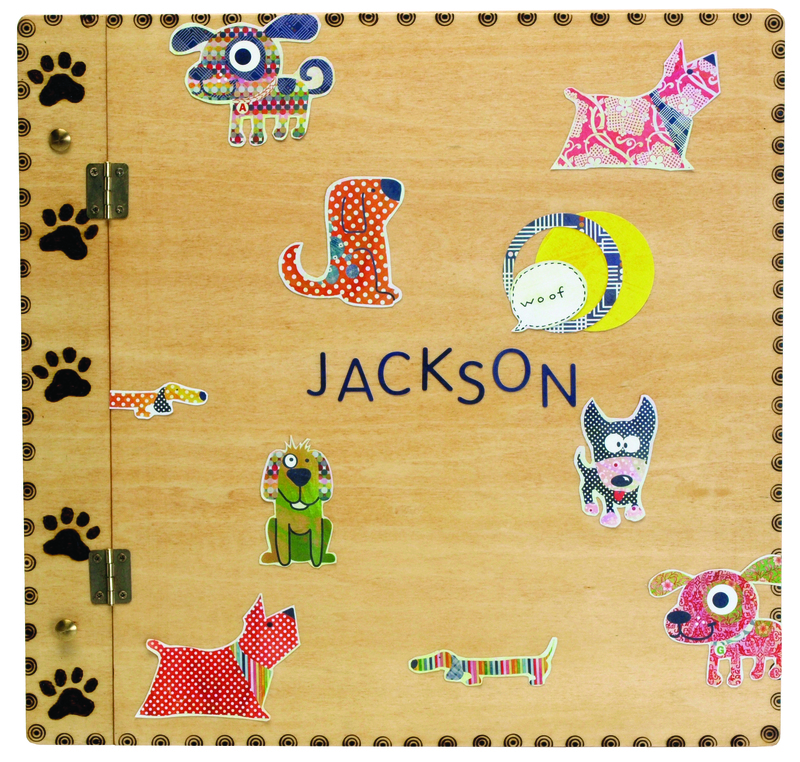 I made this for a friend who has a dog named Jackson. I think everyone takes photos of their pets and the Album makes a great place to keep them all together! I love Tattered Angels Glimmer Mists and that’s what I used for this cover. It’s so easy to mist directly onto the cover – just let it dry and you’re ready to add the embellishments. These embellishments were from a BasicGrey sticker sheet. Fun, fast and easy, right? One of our co-workers made this Album for her granddaughter. 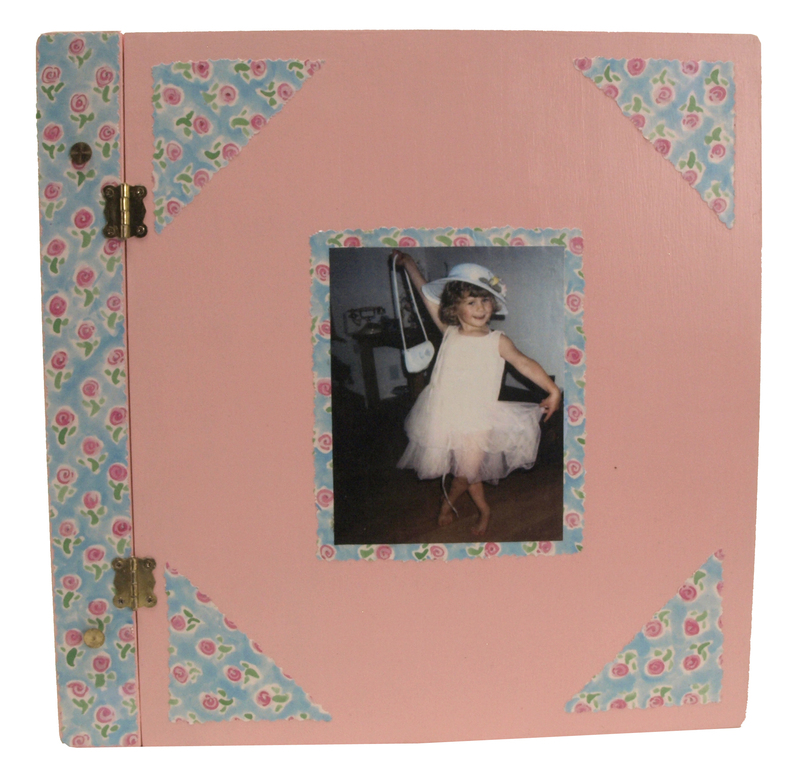 After basecoating the cover with an acrylic paint to match the papers she planned to use inside, she added a cute photo of her granddaughter right on the cover. More cuts of paper were added to create the theme for what was come inside. A friend was going on a well-deserved and well-planned vacation to various European countries. 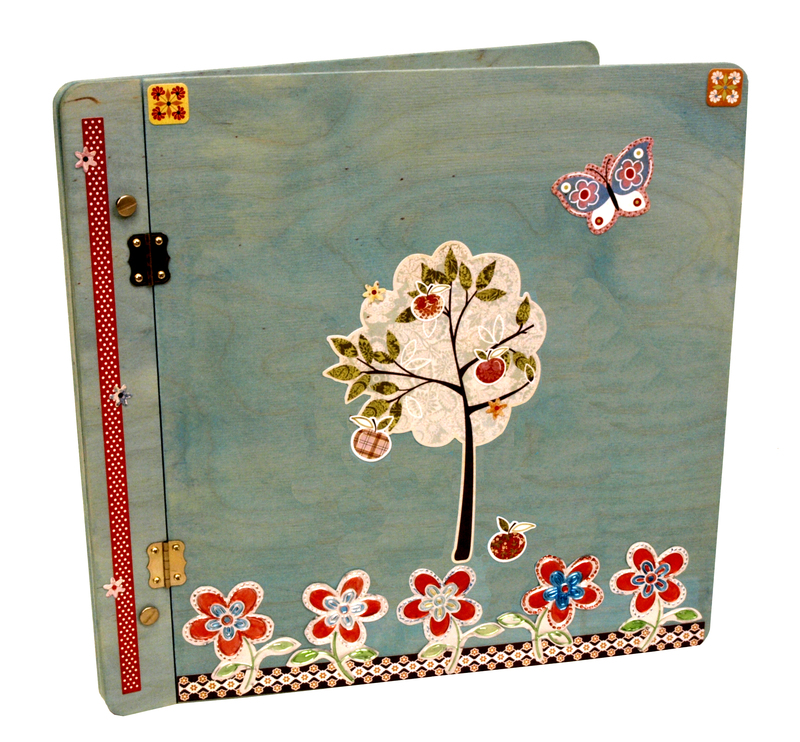 I thought this BasicGrey paper filled with folk art style flowers was perfect for the cover and pages inside for her trip. Since I’m a quilter, I thought it would be fun to cut scrapbook papers into the same type of cut shapes that are used for fabrics to make quilt blocks. 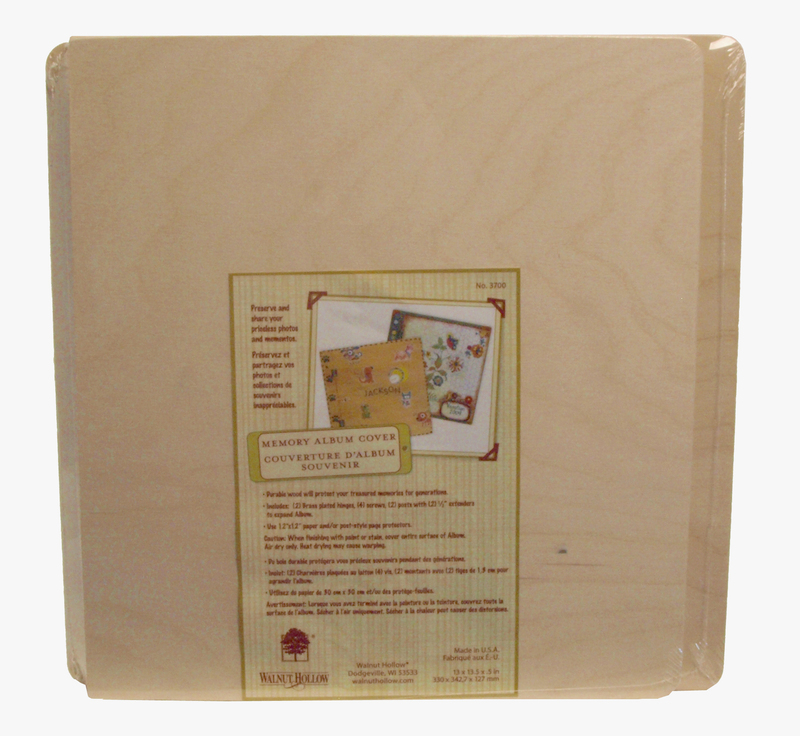 A 12” x 12”paper pad from Pink Paislee® was just right because all the papers coordinate. Instead of sewing, I just glued the papers down in a traditional quilt block design and used a black pen to “hand stitch” around each section. Just the right look to keep photos of quilts that I make. So, now it’s time to design new covers for all the photos I have! 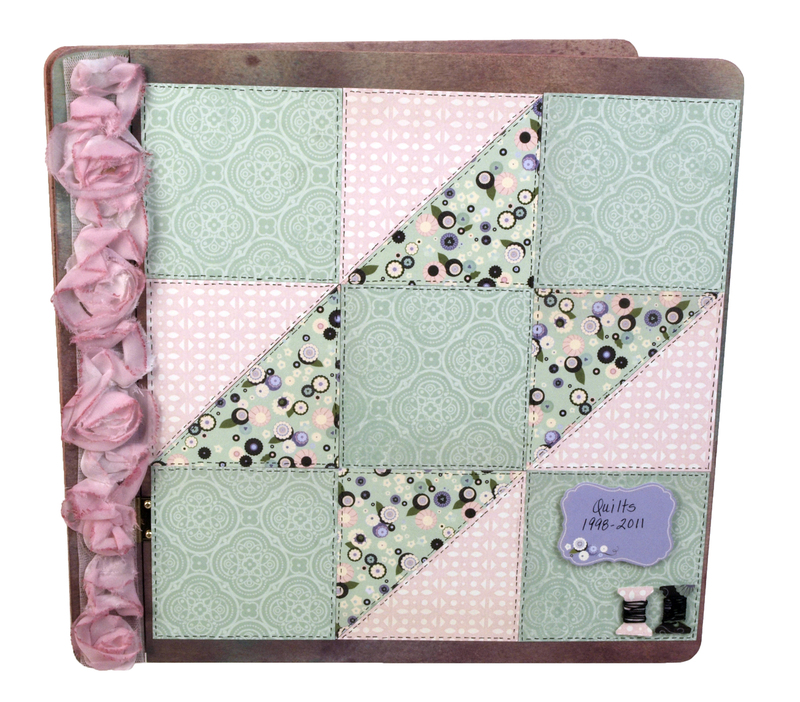 And maybe I’ve inspired you to think about a Memory Album gift you can make for your friend or for yourself. It’s nice that they are so easy to make.